In the spring of 1994, I traveled to Dharmsala, India to shoot video for a documentary on Tibetan’s view of aging. It raised many questions within me regarding why many people in the West are afraid of aging. I met some of the most wonderful, happy, wise Tibetans that have aged so gracefully and are respected in their community. I had several private talks with the Dali Lama on this subject. When I got back home, the culture shock set in. I noticed right away that people cast down their eyes when I fully greeted a stranger. Disheartened, a friend gave me a book, Of Water and the Spirit by Malidoma Patrice Somé. This book reminded me of a longing that was deep inside me, something deeper than just my life here and now. Only a few years before this, I was producing several short film documentaries and living with the Hopi in Arizona. This became a two year project learning about respect, trust, ancient wisdom, initiation and the art of gift giving. Only in hindsight, I became aware of the fertile ground inside me for the ‘wisdom seeds’ that were planted during those two years and this deeper longing to bear it’s fruit. This made me think of my own experiences and the realization that most of us that have not had a significant initiation into adulthood, and were running around like wounded children that didn’t receive the proper tools to nurture these ‘wisdom seeds’ deep inside us. From the viewpoint of ancient, tribal, or native populations, the western culture is sickened, exploited and diseased through its chemicals, unethical advertising, possessions, subliminal messages, and living at odds with nature. In short, we want more and more of what we ‘think’ we need. Here in America it seems we have exasperated, profited and glorified the concept of addiction and its denial mechanism. Pharmaceutical companies create customers, not cures. We have legalized and heavily promoted some of the most dangerous and damaging drugs on the market, while some of the most powerful healing and freeing medicines that can be grown freely are illegal. Here are some scary and sobering facts on just one of America’s relationship with addiction. Americans consume 80% of opiate painkillers produced in the world, according to the American Society of Interventional Pain Physicians. More than 17,000 Americans die annually after overdosing on prescription painkillers called opioids, according to the CDC—more than from heroin, cocaine and all other illegal drugs combined. Every hour, a baby is born in the United States with symptoms of opiate withdrawal, according to a study published in April by the Journal of the American Medical Association. Calling it an epidemic, the CDC reports that women’s deaths from prescription painkillers has risen 400% in 10 years. In 2011, 12.7 billion prescriptions were written for Vicodin, that’s enough Vicodin to supply every adult in the United States a 30-day supply around the clock. That’s only one of 759 opiates that are on the market. New research shows that opioids cause long-lasting changes to the brain, rewiring some areas to crave more drugs while simultaneously damaging the parts that can control those cravings. The drugs can damage the brain’s ability to feel pleasure, so regular users eventually need to take more, not to get high or help with pain, but just to feel normal. When I read Dr.Some’s words again, those seeds planted inside me in Hopiland sprouted and gave me confirmation on why I wanted to create Iboga Care. Iboga is a plant teacher known as the Godfather or King. Some consider Iboga the most powerful detox and spiritual exploration plant in the world. For thousands of years, the Babongo tribes in West Central Africa, have used Iboga for their initiations, spiritual practices and healing ceremonies. They transmitted their knowledge and rituals to the other tribes in Gabon. Today the religion is known as Bwiti. In the rest of the world the iboga root is famous for it’s active alkaloid ibogaine, which to date, is the most powerful addiction interrupter known. It is typical that after one flood dose, the patient “awakens” 24 hours later with complete remission from their addiction. A complete mind, body, spirit ‘reset’ or ‘rebirth’ is often described. 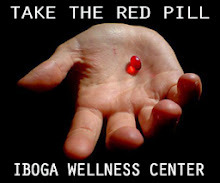 Iboga seems to clean the mind of it’s unwanted and limiting negative programming, restoring you to the clarity of your pre-trauma or pre-addictive state. It can eliminate the initial emotional pain that may have caused you to seek pain killers, alcohol, sleeping pills, anti-depressants or other hard drugs. It is also used to treat PTSD, depression, anxiety, ADHD and many numerous other mental, emotional, spiritual and physical disorders. The iboga/ibogaine experience is a viable treatment for resetting the brain and freeing one’s dependance on trauma induced behavioral patters. Iboga is often described as “10 years of psychotherapy in one night.” For most people with addictions and other health disorders, iboga is a miracle. Most of us have been touched in some way by these maladies. Many people have been in and out of rehab all their lives and are still suffering from addiction. Many of us have lost someone we know, a loved one or a family member, and have wondered if there was more that we could have done. Where do these addictions and mental disorders come from? Why haven’t more people been told about this amazing tree? Being a root medicine, Iboga works directly at the roots of our center and teaches through direct, logical information. There is no translation issue as sometimes experienced with other plant medicines. People have called Iboga your ‘stern father’ and exposes your subconsciousness to truth. This allows you to glide fast through the multitude of blocks you may have in this lifetime, past lifetimes and heal ancestral lineages going back thousands of years. Taking Iboga is the ultimate rebirth/reborn experience. It gives you a second chance in life. For most it offers a period of amazing clarity lasting for months and benefits have been reported to remain present many years after one treatment. Native cultures have considered trees as the great philosophers of our planet, the wisdom I have learned from trees is that by and large humanity is disconnected. Disconnection can take many forms. The iboga tree can offer re-connection, and a renewed sense of purpose. The Iboga medicine is at the root of global transformation, freeing the individual. However, due to the increase of its worldwide usage and lack of sustainability, wild iboga could be facing extinction in its native region of Gabon, Africa. So few people even know about this incredible entheogen, let alone have been given the valuable access to it that could very well change their lives. We need more of these amazing small trees all over the planet, so that all who desperately need access may one day find a way to be treated. We created Iboga Care with a mission to contribute to the global preservation of the Tabernanthe Iboga tree by encouraging international sustainable propagation and creating an organic and sustainable iboga plantation in Costa Rica. The intent of this project is about giving and it is our goal to donate 100% of the root bark to those who need it but otherwise cannot afford it. Also Iboga Care will be giving 5% of the Indiegogo funds, after fees and expenses, to Gabon. Some plantations have been created, but demand is far greater than supply and availability. We see a future where iboga trees are plentiful and people have more affordable and effective treatment options, whereas previously there was only hopelessness. If you would like to get involved in this exciting project and support Iboga Care’s mission go to their Indiegogo funding campaign at http://igg.me/at/ibogacare and give what you can. You can also find out more at the website ibogacare.com and like their Facebook page https://www.facebook.com/ibogacare Take a few minutes to share this article and be part of this therapeutic revolution with us. Thank you. Bart Hawkins of IbogaCare.com has been a filmmaker for over 20 years, with a focus on anthropological issues. He cares deeply about native cultures and their environment. Bart has gained much experience in producing large budget projects from conception to completion. He holds degrees in zoology and art, and a degree in film production from Brooks Institute of Photography. Some of his clients include CNN, Turner Broadcasting, ABC News, Coca-Cola, HGTV, and The Weather Channel. Early in his career, Bart lived with the Hopis in Arizona for 2 years, while he made two films. Then he traveled the world for seven years and had several private talks with the Dalai Lama.